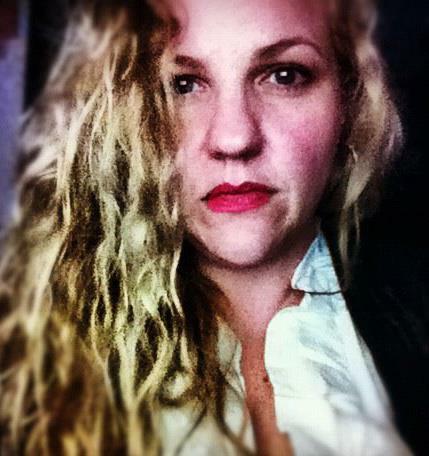 As a boxing manager, Mary del Pino Morgan is pretty unlikely. 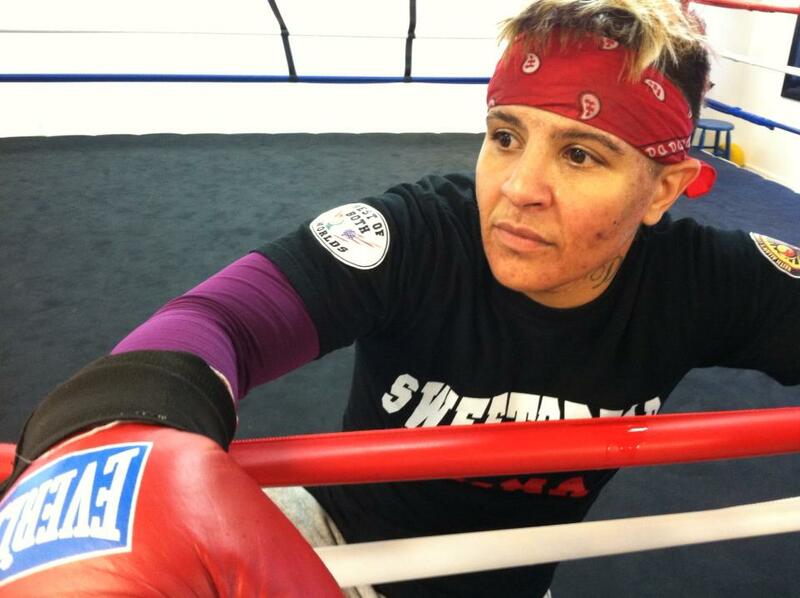 Still, during her first forays in training, Mary did not envision herself as the boxing manager for Shelly “Shelito’s Way” Vincent, a rising star in the East Coast professional women’s boxing world, whose perfect 9-0 record and most recent win against boxer Angel Gladney have netted Shelito the Women’s International Boxing Association (WIBA) super bantamweight title and a fan base that seems to grow exponentially with every foray into the ring. The latter, Shelito’s fan base though has a lot to do with her manager, and friend Mary del Pino Morgan. As Mary tells it, her growing love of boxing and dedication to the sport and the women who practice it led her down a path she never expected. “I was there [at Striking Beauties] all the time and got to know everyone. It was more like a club than a gym and pretty intimate. At first I volunteered there,” she said, wanting women coming into the gym for the first time to “feel comfortable especially with losing weight.” She felt good about introducing them to an environment that was really safe and supportive no matter what their body type or skill level. Mary, in her “other” life as a personal chef and wedding cake designer was so good at customer service that she the owner of the gym, Dena Paolino, offered her a job managing Striking Beauties. With several National champions, including two 2010 National Golden Gloves title holders coming out of the gym, Mary became pretty excited about the sport and the possibilities for women. It also brought her to the fights and an awareness of Shelito Vincent who was making a name for herself as an amateur boxer in the New England area. This led Mary to strike up a casual friendship with her on Facebook. One fateful night, Shelito wrote a post on Facebook that struck a chord with Mary. “She put up a message that said she was in a car accident and stuck. And it was like, January and raining and at night. I checked back in a few minutes to see if anyone was helping her and Shelly had put another message on that said her car was dead and her phone was almost out and I thought, that’s it. “I wrote ‘You’re in Connecticut right?’ and she wrote back, ‘No. I’m in Providence.’ And then I wrote her to say I’d get in my car to pick her up. A couple of minutes later she got back to me and said, ‘somebody is right down the street, so I’m okay, but I have your back now. You were going to come get me and you don’t even know me!’ and I thought, wow, Shelito Vincent’s got my back.” By then Shelito had won her October 2011 debut match by decision against Karen Dulin and was looking forward to a rematch in March 2012. 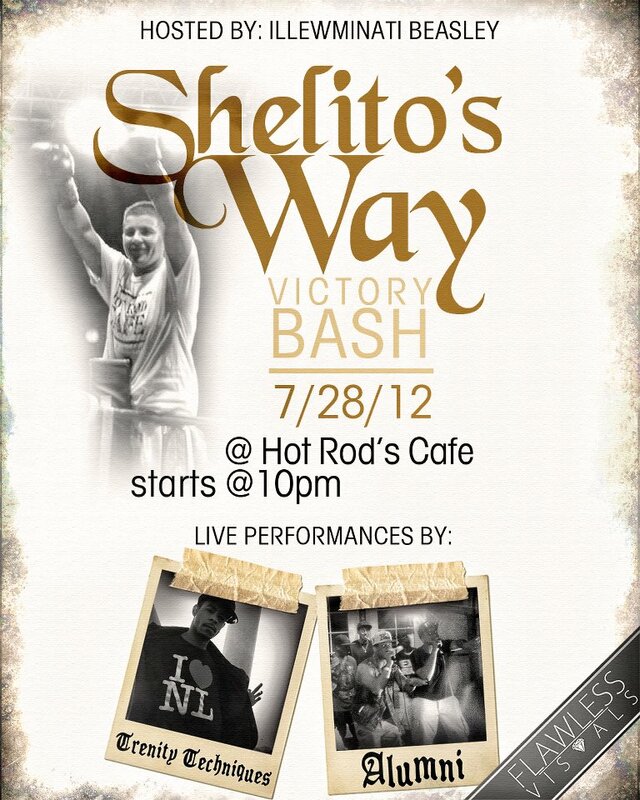 Pretty immediately it meant helping Shelito set up for her upcoming fights. 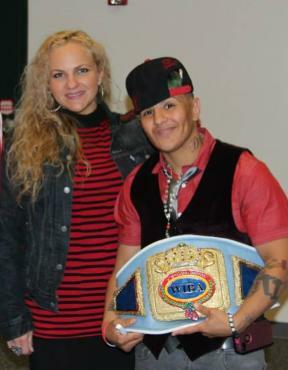 Shelito had already inked her deal with CES Boxing (Classic Entertainment Sports) (where she is one of two female fighters on their roster), guaranteeing her five fights a year for each of three years for 4-6-8 and 10 round bouts, though most of her nine fights to date have been four- and six-rounders with the exception of her eight-round title fight this past May. It has also meant working full-time helping to keep Shelito in the public’s eye. 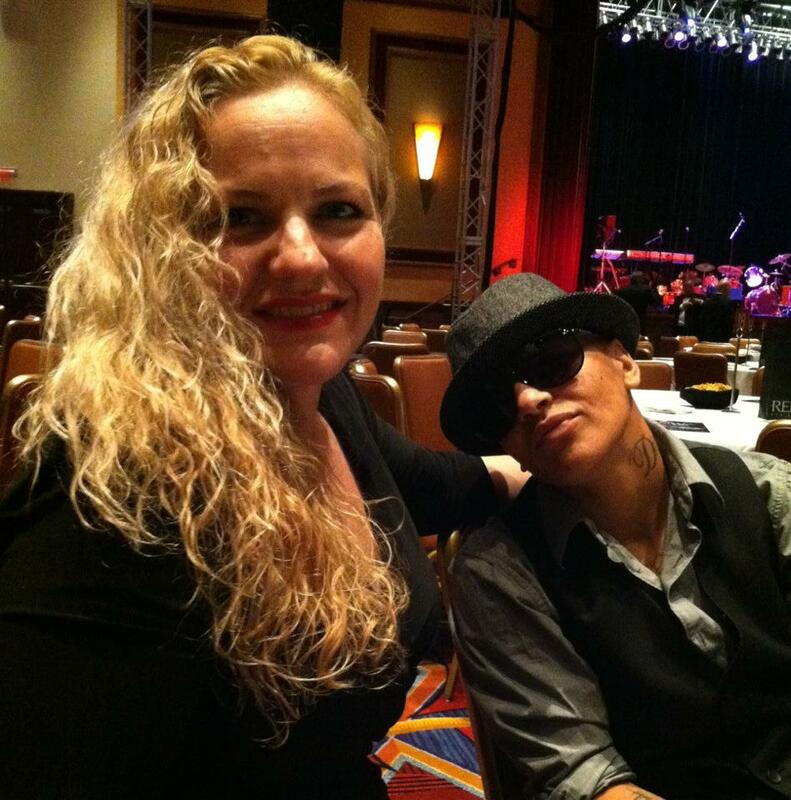 Mary spends hours and hours drumming up publicity for Shelito’s fights working closely with CES. She sifts through speaking engagements, interviews and photo shoots, and lots of press relations with local papers, regional television and radio news outlets, and boxing websites and bloggers–not to mention her forays on social media such as her active Facebook, Instagram and Twitter accounts. Mary is also a one woman machine getting fans to pep rallies, pre-fight and post-fight victory parties, as well as keeping Shelito on track with her motivational speaking appearances with school kids which are a true labor of love. The combination of activities can bite into her gym time with famed boxing trainer Peter Manfredo, Sr. and her hours as a trainer at Striking Beauties, but between Mary and Shelito, they make it work. It has also meant gaining sponsorships for Shelito to help defray the costs, which include the $20 and more in gas money a day needed for Shelito to get back and forth from training and to her various appointments. 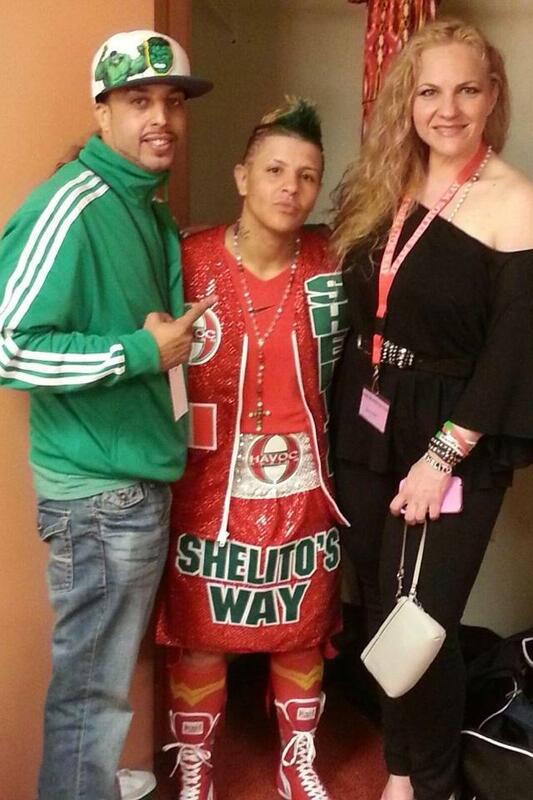 Mary’s success at that has been phenomenal, having landed several sponsorship deals including the well-known Havoc Boxing who custom make all of Shelito’s boxing trunks, tops and robes for her fights. In the scheme of things when considering paychecks such as Floyd Mayweather’s recent $32 million dollar guarantee for fighting Robert Guerrero this may not seem like a lot, but in the world of women’s boxing where the margins are that close, it is the difference between being able to pursue a professional career and being shut out completely. But for all of that Mary sees her main job as ensuring that Shelito’s best interests are always in focus. “I help her negotiate … I have to look out for her. That is my motivation. It is not for anything else. 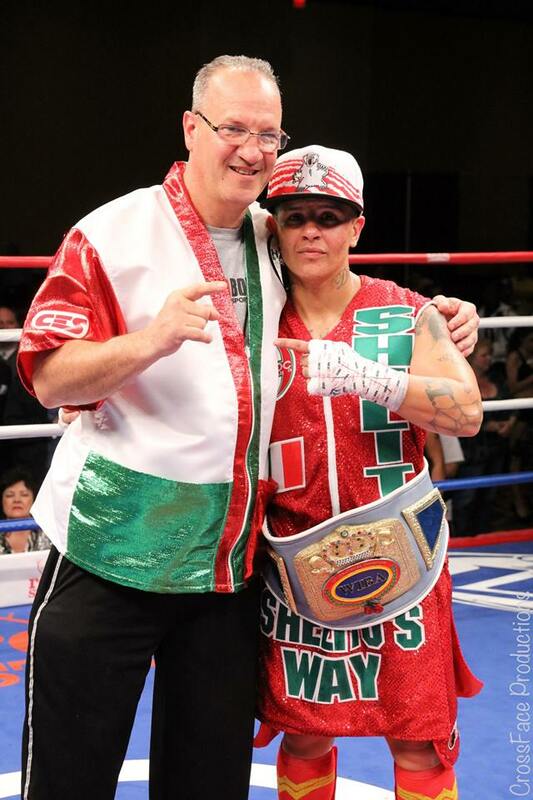 Not for money, it is all for Shelly.” Mary also feels that the other important component is “having a loving trusting relationship with your team,” saying further “that trust has to be there so she knows we are not going to take advantage of her.” That team is Mary, Peter Manfredo Sr. and his trainers, and the folks at CES Boxing who have come through for her at every turn.